A little background: Bodegas Delcado Zuleta is the oldest family-owned sherry producer in the Jerez region, and is located around the town of Sanluca de Barrameda. 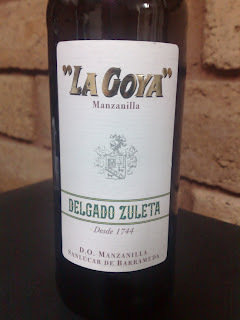 Manzanilla is the appellation name for fino sherry made from the Sanluca area. 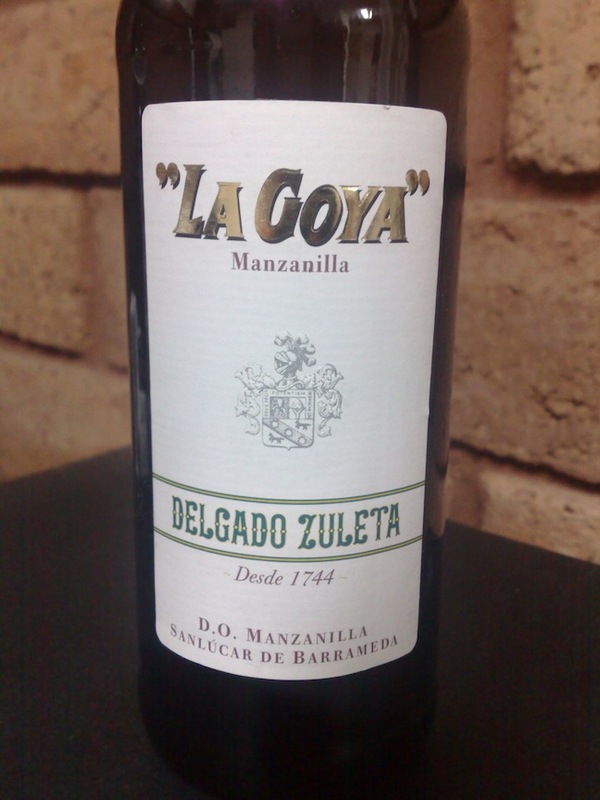 The La Goya is a manzanilla pasada, which means the ageing is for eight years in contrast to the usual 4 or 5. The (white) grape variety used in producing La Goya is palamino. A lovely pale golden straw of pristine clarity. As expected, rancio and nutty characters expressed themselves strongly. There was a slight medicinal quality hovering in the background, perhaps more kindly described as a greenish spearmint. I get a hint of my old favourite descriptor – maritime. And then there’s florals (rose petal, camomile and frangipani), and fruits (apple, pear, poached quince), some toast and marmalade, green peppercorns and capers, varnishy oak, and a dollop of overripe orange rind. Creamy on the palate with some tarty citrus flavours, nutty and raisiny, some lanolin. Prior to the food, the palate fell away at about the 2/3 mark, but when matched with the fennel soup it bounced back, and the back-end came alive with citrus freshness and sweetness. This particular La Goya was bottled December 2009 so perhaps needed to be topped a bit earlier than we managed. Yeah, it’s a good drink for the price, and a worthy pour with a soup starter at your dinner parties. Value: $18 for 375ml bottle. A fair price for an import of this pedigree. Producer: Bodegas Delcado Zuleta – www.delcadozuleta.com – Established in 1744. Region: Sanluca de Barrameda, Spain. Site: No specific site info but Sanluca is a cool and humid seaside village.